Saute onion and jalapeno in oil over medium heat until onion is translucent and soft. Add garlic and stir for 30 seconds. Add rest of ingredients and stir to combine. Bring the mixture to a boil, then reduce to a simmer for 20-30 minutes til it reduces and starts to thicken. Take off heat and blend with an immersion (hand) blender until the desired consistency is reached. Taste and add more salt, pepper, liquid smoke, garlic powder, molasses, cayenne pepper, etc for your personal taste. Heat oven to 350ºF. Spray a 9×13-inch baking dish with non stick cooking spray. In a large bowl, cream sugar and butter with an electric mixer; beat in egg, egg white, pumpkin, vanilla and buttermilk. In a separate bowl, combine flour, oats, pumpkin pie spice, baking soda and salt. 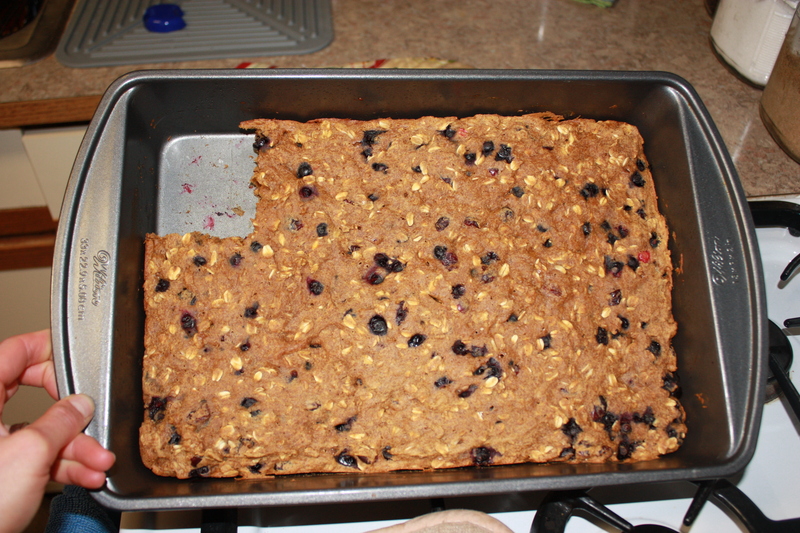 Stir into pumpkin mixture just until moistened, then add blueberries and cranberries and gently mix. Pour batter in pan, spread evenly and bake 20 to 25 minutes or until center springs back when gently pressed. Cool and cut into 16 bars. 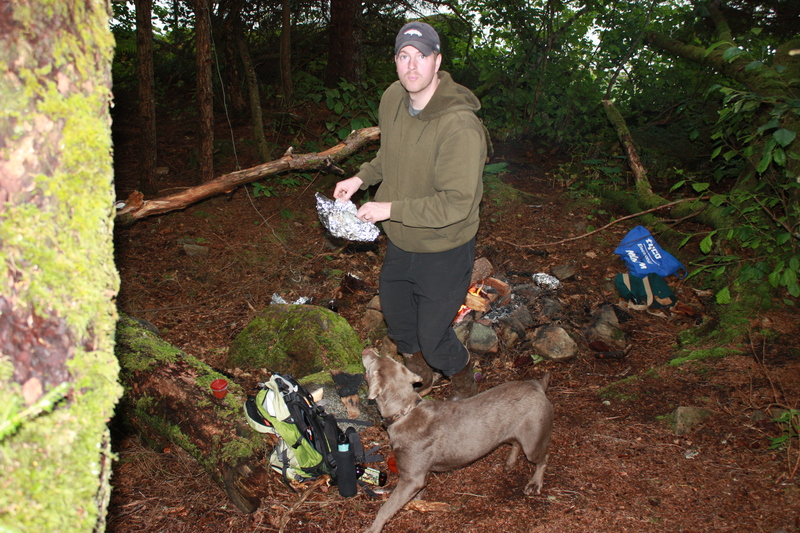 Lee and I made a campfire next to the beach (on the trail below our house) on Friday night and made tinfoil dinners for our supper … such a relaxing evening. 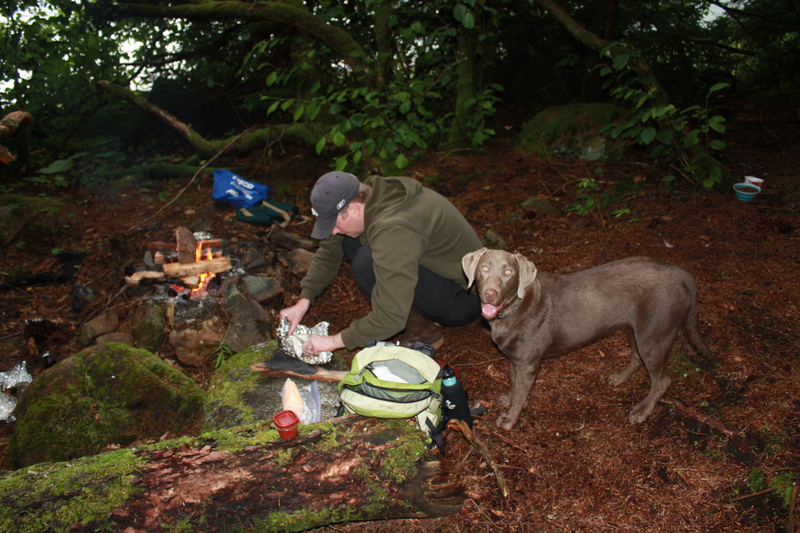 This entry was posted in Lee, Rachel & our Canine Kiddo, Recipes. Bookmark the permalink. Freeze those yummy blueberries too! I also tried to dry some in the oven they got a little crispy, but that was my unattentativeness! I do want to get the canning book you recommend! I love trying new recipes each year. I have been working with tomatillos this fall and have fallen in love with them! My neighbor grew them but due to an illness in the family they didn’t have time to play with them so I did! We have enjoyed the results! I delivered pickeled tomatillos tonight and they liked them! 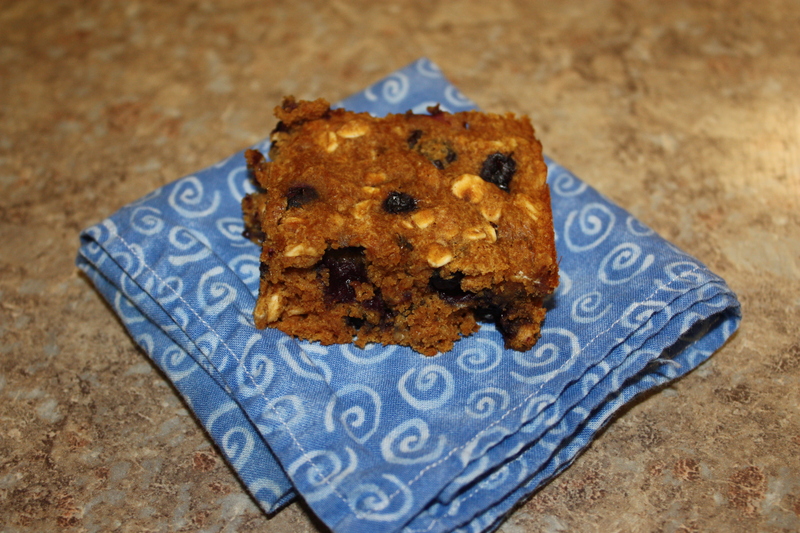 The Pumpkin Blueberry Bars were great. I’m making another batch to take to church tonight. 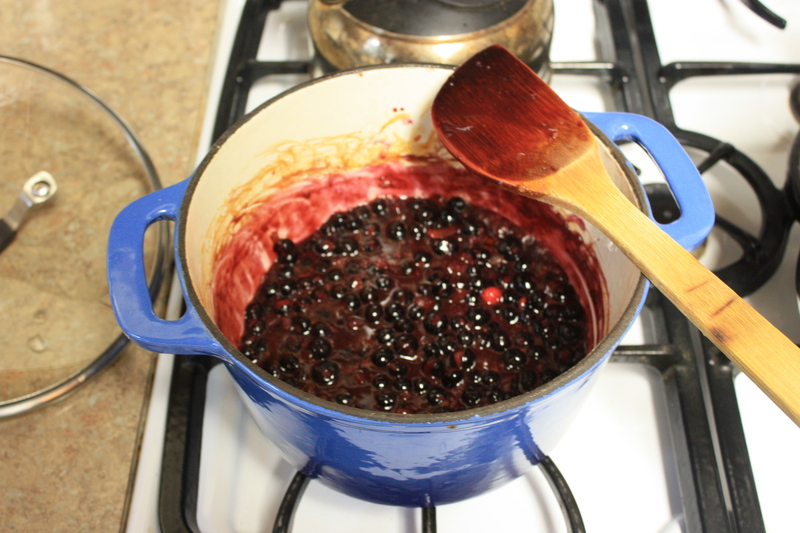 The blueberry BBQ sauce is next. I’m wondering if it would taste good on moose roast. I’ll see! Thanks again for the yummy recipes! I’m going to have to try the pumpkin blueberry recipe! It looks so yummy!